Witnesses Family of 4 (aged 40 to 70) at home, 1 man in car. Investigators Dave Gillham and Dionne Jones. This two year old sighting came to our attention in the autumn of 1997, when the family contacted us after an advertisement for the international Skywatch in August 1997. We interviewed the family between 3pm and 7pm on Tuesday 25th November 1997. They didn`t report it at the time because a friend ridiculed their story and also because they didn`t want to be pestered by the local press. The sighting took place in a rural area not far from the A30 bypass near Hayle. The family house is over 200 years old and the surrounding terrain is mainly flat farmland with a few scattered mine remains. There is a disused shaft quite close to where the object was seen. There are good views of Hayle and the surrounding countryside from the farm, which is free from light pollution very dark at night. 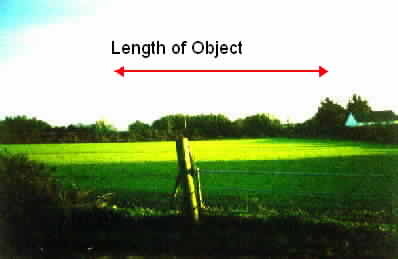 WE looked at the two arears where the UFO had been seen and noted that there were overhead lines running along either field edge, just below where the object had been hovering. After interviewing the family, we stood outside in the dark for a while observing the sky and were constantly aware of the sound of rats scurrying about and squeaking, the drone of the bypass and screech owls calling from the trees. We set a security light off as we left the house, which interfered with our night vision for a while, but were told it hadn’t been installed at the time of the sighting. The weather was still, dry and clear on the night in question. Julie recalled that there were stars in the sky but no moonlight. I checked an ephemeris and found that the moon was waxing, full moon taking place on the 7th November (3 to 5 days after the sighting), so the moon should have been noticeable. The moon was in Pisces on the 2nd and 3rd, moving into Aries on the 4th November. The sighting took place a day or so before bonfire night (Nov 5th). Julie told her family about the object in the field across the drive and when they went out to the gate to look, it had moved south, to a new position just above a fir tree at the edge of a field outside their house, and was hovering over their neighbour’s house. They watched it revolving in a stationary position for a while, then Julie started walking back and forth toward the field with the horses in to demonstrate how the object shadowed her movements. It followed after her, lighting up the path below. As it approached the house, Julie’s mother panicked and called everyone inside. Julie didn’t want to go back in the house, because she felt drawn to the object, but when her mother shouted she reluctantly went in. Julie’s mother (“Doris”) gave her version of events. She thought Julie had gone out to feed the horses at about 545pm. When Julie didn’t return after what Doris thought was about one and a half hours, she became quite worried. At 7.1 5pm she sent Paul out to look for her, but Julie came in then and told them there was a huge object in the sky outside. Doris went out to stand just by the front door with her and saw an oblong shape, “like a big tambourine”, with a ring of three long orange lights hovering low over a 20-3Oft high fir tree next door. Whilst stationary, the object revolved, twisting 180 degrees clockwise and then anti-clockwise. The tree did not sway below it In the dark it seemed to Doris that there was a broad band between the lights which was a “beautiful blue” colour, of a hue which she had great difficulty identifying. She described it, in an awed voice, as: “The sort of blue you’d expect to come down from heaven!” There was also an aura around the object. Like Julie, she too was puzzled by its seemingly hollow form, remarking in surprise that: “It didn’t have a lid on it!” She estimated the whole object to be about half the size of the second, larger field outside their house. Doris was fascinated because the object was so big and silent, that she couldn’t see how it stayed up there. She recalled no breeze, no noise and no noticeable odour. The front and back lights were visible at the same time, as if the object were a hollow tubular ring or perhaps tilted ai an angle. 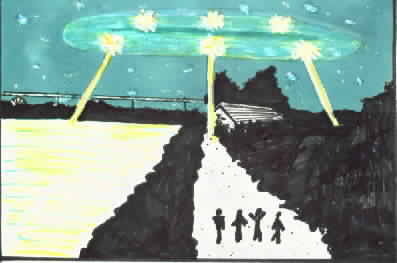 There were three dull “floodlights” beaming down from the object, at first stretching outwards like a tripod (diagram A - page 6), then they slowly moved in together to make one circular patch of light on the ground (diagram B). Doris estimates that she watched the object for 20 minutes or more, but as it came closer down the path towards them, she became afraid and shouted for everyone to get inside. Indoors she was shaking and nervous, and had to have a cup of tea to calm down. An hour later they went outside for another look, but the object had gone. When asked two years later, what they thought the object was, both Doris and Julie were still convinced that it was “from another world”. Doris and Julie came in and dragged “Geoff,” away from a football match on the TV. Begrudgingly he went out and saw a huge stationary object over the house next door, “Like four ruby red lanterns, more orangey on top, on a square/circle”. At first he thought it might be reflections off the sea, but noticed faint lights beaming down from the object. He could see a fainter light behind one of the front ones, which became bright as that part of the structure revolved to the front. Again, he described a half-twisting motion, which matched Julie, Doris and Paul’s descriptions. Paul had the least to say about the incident. He recalled going out to find Julie just as she was returning, and on going out saw several white-purple/mauve-orange lights going round, making a half revolution clockwise, then anti clockwise. Whereas the rest of the family were eager to sit down and take time describing the event in detail, Paul stayed out of the room for most of the conversation and left the house before we had a chance to interview him properly. The description he gave was more a passing comment which he made when bringing us some coffee. He did also comment that Julie seemed “hypnotized” by the lights. We left a sighting form for him to fill in and are awaiting its return. Three weeks later, a friend of Julie’s (“Derek’) asked her about the big object he’d seen over their house early in November. He said he’d been driving down the by-pass when he saw the strange lights, and even though it was a dual carriage-way, he had to pull the car to a halt to take a better look. The road was quiet, but he noticed another driver pull up nearby, as if they too were watching the object. While we were interviewing the family Julie rummaged around looking for Derek’s phone number for ages, then found a scrap of paper with it on and rang him there and then, without any prompting from us. She passed the phone over to Dave and he listened while Derek described the “whacking great thing with lights on!” that he’d seen. Watch Trouble Julie was wearing a watch at the time of the sighting. It was working when she left work earlier in the evening, but she noticed it had stopped when she took it off to go to bed that night. Unfortunately, she doesn’t remember what time it had stopped at and replaced the batteries the next day. The batteries had last been replaced about a year earlier, so they were due to run out round about then. The watch stopped again about 5 to 6 months later, and she eventually stopped wearing it because she started to get a kind of eczema on her wrist which it aggravated. She put the watch on the other day, and it stopped working after 20 minutes. 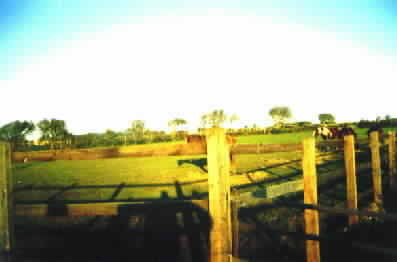 Doris went out the day after the encounter to check the field where the horses were. The animals seemed alright and she said, quite unprompted, “there were no burn marks on the ground”. We saw the same horses while we were there and they looked content and healthy. Interestingly, when a low-flying helicopter passed by a couple of fields away, the horses didn’t batter an eyelid! According to Geoff, there are always helicopters, jets and passenger planes flying over the area, so maybe the horses are used to weird things in the sky. When asked how their dog and cats behaved inside the house on the night of the sighting, Doris didn’t recall them acting any different to normal. Julie went out the next night to look for the object, but nothing appeared. She also commented that there were no marks on the ground in the first field. She said the field used to be flat, but there was now a ridge in it. Geoff quickly reminded her that the ridge appeared after the farmer ineptly ploughed the field. It seemed maybe, that she was looking for coincidences, where there were none. Julie said that she’d been suffering from shingles since June 1995. The infection was in danger of affecting her eyes, but at a routine doctor’s appointment the day after the encounter, she was announced clear of the disease. Her eyes felt fine afterwards. Julie seemed to feel this was in some way connected to the sighting, but again, it may just be coincidence. She also started suffering headaches after the sighting, when she had never been prone to them before. The headaches are aggravated by two small, painful lumps which have been regularly coming up behind either ear since that day. She finds it uncomfortable wearing her glasses (which she needs for driving), because they press on the lumps and create a feeling of pressure in her head. She showed us an area of skin behind her right ear as we were talking, and it did look very red and sore. She says she has also suffered with eczema since the sighting, which appears on her wrists and back of her neck. Thurs Nov 2nd: Pastel triangle over Longdowns , west of Falmouth (11 miles away) at 10.39. Fri Nov 3rd: 5 white flashes of light over Cam Brea (8 miles away) at 830pm. Three witnesses. Sat Nov 4th: Pink triangle flap over Pool and Redruth (8 to 10 miles away) at 930pm and 11pm. Many witnesses. An unsubstantiated report overheard on CB radio, of a glowing cloud seen by a woman, flowing up the Hayle river estuary. The cloud changed shape several times, from a dark shadow, to a spinning ring of lights and finally an object shaped like an old fashioned bucket-lid. 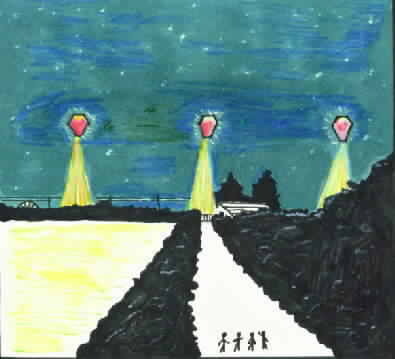 There were also several reports of orange balls of lights and lights in triangular formation over Hayle and Gwithian Towans in 1996. Although we already knew from the CUFORG sightings map, that Hayle is a bit of a hot spot for UFO activity, we were surprised at the number of objects resembling the ethereal ring of lights seen in this case. This implies the phenomena may also be place related, but if so, what is it about Hayle that could be attracting or triggering it? Is it something to do with the coastal terrain, geology, ancient sites, population density or nearby military bases? The family house is over 200 years old and stands over the site of an old counting house. We were told a South-African mining company has diamond mining rights on the and. Doris and Julie have both seen a ghost at the property. Doris saw a woman in a long black dress with a white hat outside one night, when they first moved in about 10 years ago and 2 years rater Julie saw a lady in black, wearing a shawl and hat, walking across the lane. This and the previous sighting of a huge UFO by a neighbor, again supports the idea that there is something special about the location. However, this isn’t the only place where the family have encountered strange phenomena and their numerous previous paranormal experiences indicate there is something about the witnesses themselves which could be an important factor in this case. Geoff recalled an incident some 20 years ago, when they saw a UFO. Julie had been singing in a band and they were driving back from the gig in Aylesbury (on the A24) at 2am, when all the lights on the car suddenly went out. 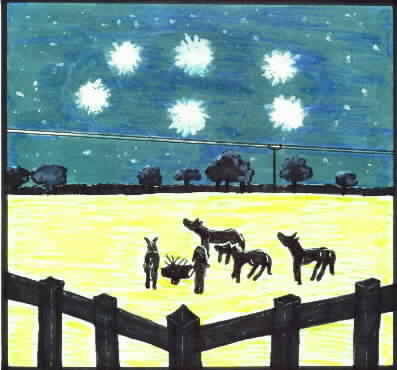 They then saw some strange lights in the sky. Geoff also mumbled something about an even earlier sighting in which the police and HAF got involved, and remembers seeing strange lights during the war, which he put down to military action at the time. The family ran a shop in the 1980’s, and whilst there they endured an explosion of unpleasant poltergeist activity. The phenomena included phantom smells (tobacco and a vile sandalwood/mouldy bread odour), cold spots, the sound of cows mooing in a room built over an old dairy, shovelling/sawing sounds, vibrations shaking the ceiling, animals being killed by an unknown assailant, fish tanks emptying, the contents of a safe being found strewn about, a small orange light floating about indoors, a mystery man captured on film and a disembodied female voice. The shop was exorcised by a vicar and a psychic put the disturbances down to the troubled spirit of a young girl. Doris showed us a newspaper clipping from the time and said television crews had made a real nuisance of themselves, inundating the place with camera and light equipment which kept blowing up. 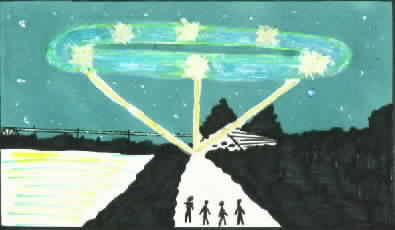 It was because of all the unwelcome media attention they’ve had in the past, that the family didn’t report this UFO sighting to the papers at the time it happened. They were greatly relieved to be able to talk to us about it, knowing their privacy wouldn’t be invaded by the press. Hence we have respected their request for anonymity in this report. Doris claimed they hadn’t spoken about the incident since it happened and this was the first time they’d discussed it together. Yet, when we first came in she recounted almost word for word everything Julie later said had happened to her. Julie wasn’t there at the time and did not know what her mother had said when we interviewed her a few hours later, but the story was identical, so either Doris had a very good memory or they had been discussing the encounter. This aside, it seems unlikely they had made the story up because, although all four family members told basically the same story, they couldn’t agree on one of the most basic elements: the colour of the lights. It seems strange that they would concoct a story with such a glaring inconsistency. Doris seemed a bit agitated that the others described a different colour light to her and none of them recalled the beautiful blue band, but they stuck to their guns and didn’t change their stories to please her. She admitted to being embarrassed about the inconsistency because she thought it made their story less believable. Also, there is no apparent motive for making up the story: the family didn’t want publicity and Julie seemed quite relieved that by reporting her missing time she wasn’t going to be automatically whisked off for a course of hypnotic regression (although it was never suggested, she seemed a bit alarmed about the possibility she may have been through an abduction experience, and whilst clearly puzzled about the missing time, she didn’t appear too bothered about exploring it further). That suggests she wasn’t attention-seeking. The family seemed genuinely curious about the incident and pleased to be able to share it without being ridiculed. They clearly had some knowledge of the abduction phenomenon which may have encouraged a certain level of elaboration, but if they were hoaxing why didn’t they incorporate an abduction story for good measure as well? Why stop just at the sighting? We can’t see what they stand to gain from reporting their sighting anonymously. terrestrial object or natural phenomena? The object did not resemble any conventional aircraft, and was seen at close range, which makes misidentification less likely. It should also be borne in mind that the family live under a flight path, and are used to seeing low flying helicopters and airplanes passing overhead. Unfortunately, it is too long after the event to contact the local air base about their activities that night. Even though it was seen shortly before bonfire night, the object did not resemble or behave like any known firework. As to natural phenomena: on one occasion the family were stunned to see lines of horizontal lightning running along the ground during a storm, which could indicate that there is something unusual about the terrain. The proximity of the object to the overhead lines in both fields may indicate either that some unusual electrical activity was taking place, or that the object was attracted to the lines for some reason. However, its deliberate pattern of rotation, the way it shadowed Julie’s movements and avoided touching the power lines does not support the idea that it was a purely natural phenomenon. The slightly different descriptions of colour are intriguing, even allowing for normal variations in visual perception; it’s interesting that the light appeared white to one person, yet orange, red or purple to the others. This suggests either that something peculiar was going on with the family’s perception of the phenomenon, or perhaps they were perceiving colours outside the normal visible range and therefore struggling to describe something for which they had no normal point of reference. The well-known “Oz-factor” was clearly in evidence. This sensation of time standing still is often a feature of UFO encounters, as is the feeling of quiet calm which Julie described. This may indicate some ‘influence’ was acting upon the witnesses minds as they watched, perhaps resulting in an ‘altered state’, but it seems unlikely, if they were simply hallucinating that they all shared the same basic vision. What about the reaction of the horses? Were they also hallucinating? Unfortunately, there were no ground traces to indicate the presence of an external, physical object and there were no independent witnesses (the man driving on the bypass was a close family friend, and the driver of another car which pulled up nearby has not been traced). Without a detailed medical report, we don’t know the cause of Julie’s headaches and the bumps behind her ears, or indeed, if there is anything unusual about them, or her recovery from shingles. So unless more evidence comes to light we really only have the witnesses’ words to go on. The way the object shadowed Julie and avoided colliding with the overhead power lines, suggests it was under intelligent control, but why was it reacting specifically to Julie’s movements? Was she attracting the phenomenon or in some way, causing it? The family’s previous paranormal experiences hint at an inherent psychic ability and they were certainly open to the existence of such phenomena before the encounter. Perhaps Julie’s mind was interacting with an intelligent energy or force which had no real form, other than that projected onto it by the obviously excited observers? That said, the extra-terrestrial or intra-dimensional hypotheses, cannot be entirely ruled out in this case and it may be that the family’s previous UFO experiences are part of an on-going history of contact. In conclusion, if the witnesses are telling the truth (and we feel confident they are), then something ‘paranormal’ certainly happened that night. There are also signs that this could have been a person, place or time related phenomenon, or perhaps a combination of all three, but the exact cause and identity of the phenomenon remains unknown.